Relax. With LBI house watch services, have peace of mind knowing that your home will be taken care of while you’re away. Whether you’re closing up your vacation home for the season, renting your home from afar or simply going away, Air Tech LBI house watch services is a professional alternative to leaning on neighbors or friends to watch your home while you’re gone. Providing top quality heating, cooling, plumbing and house watch services in LBI since 1999, we understand the challenges and worries many LBI homeowners face when they’re away. As a local, family-owned local business, our reputation has helped us become the most respected and experienced house watch service providers in the community. The level of service we provide gives you peace of mind that your home is in good hands. 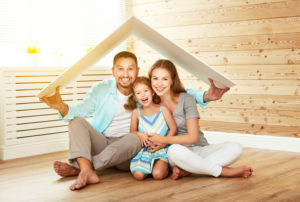 Whether your property in Long Beach Island is your primary residence, vacation home or investment property, our experts understand how important it is for you to know that your home is safe and secure while you’re away. So, relax and leave the home maintenance jobs to the professionals at Air Tech. With convenient packages that cover the interior and exterior, protecting your home investment is a breeze – an Atlantic ocean breeze that is. Air Tech house watch services are conveniently tailored to meet your exact needs through our Concierge Program. To ensure your home remains secure and safe, we perform a detailed weekly house watch inspection. Biweekly plans are also available. We cover most interior and exterior inspections of your home to catch minor problems before they escalate such as inspecting all windows, doors and lighting, testing your alarm system, appliances and plumbing as well as checking for signs of intruders, pests, etc. If an issue requires attention, our team will contact you immediately with all the details, including photographs, so that it can be resolved in a timely manner. For a full list of services, visit our Concierge Program website. Our goal at Air Tech is to provide residents of LBI with peace of mind while they’re away by assisting with regular maintenance, security and emergency issues and resolving them quickly and efficiently. The LBI house watch experts at Air Tech have been serving residents throughout LBI and the Ocean County area since 1999. As a locally-owned and operated heating, cooling and plumbing company, we take great pride in the quality of our products and services. Whether you need repair, maintenance or installation, we deliver only the best. Call us now at (609) 698-3400 to schedule your house watch services today!